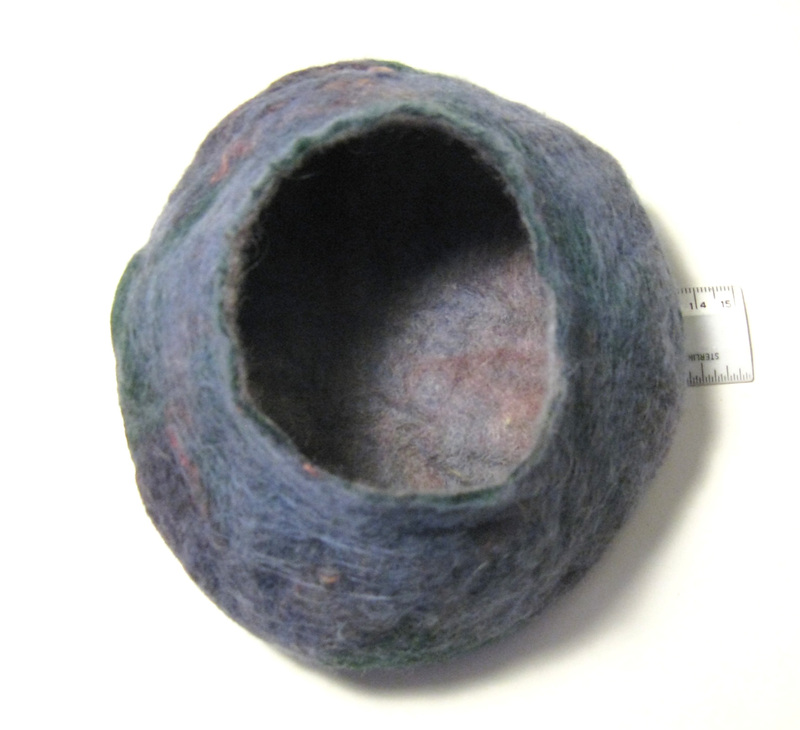 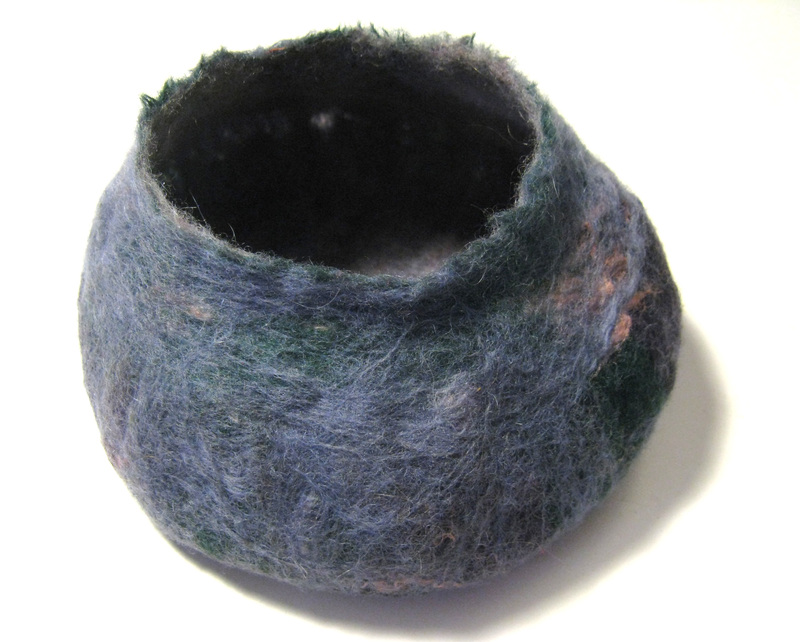 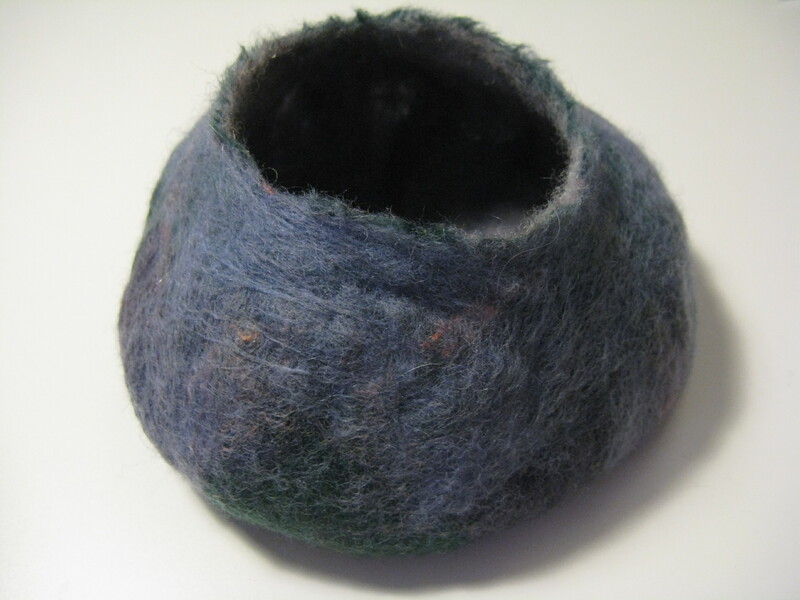 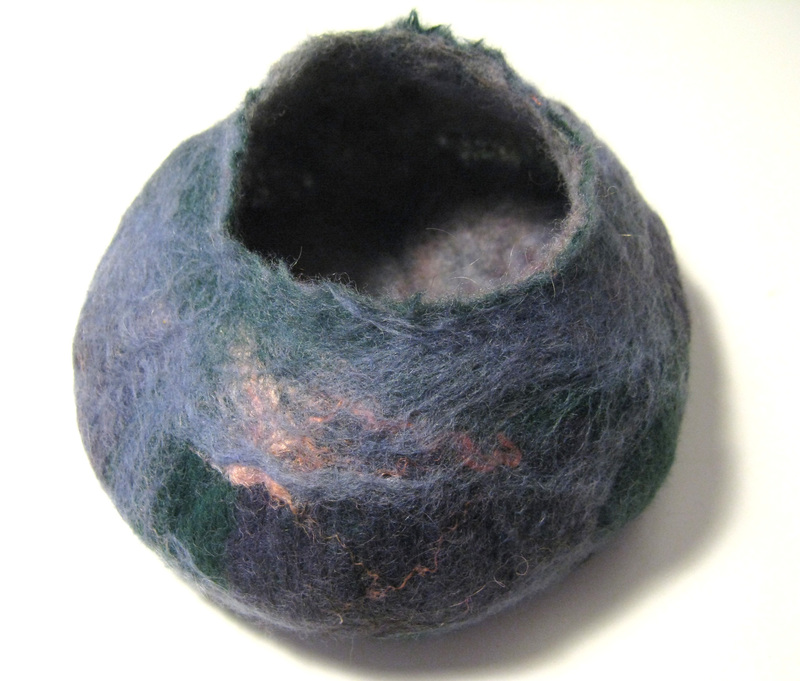 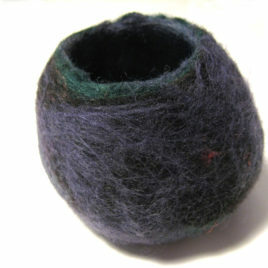 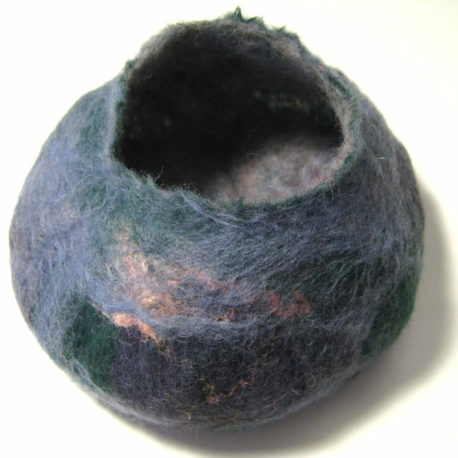 This medium-sized felted bowl has a footprint of approximately 6″x5.25″ and is approximately 2.5″ high. 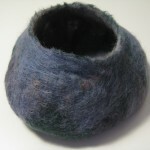 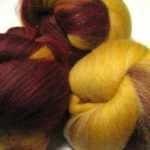 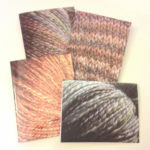 It was made by hand from merino wool in blue, green, and purple with peach-colored silk accents. 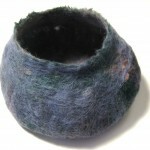 This bowl is relatively lightweight (and not totally lightproof) and would be excellent for storing smallish objects. 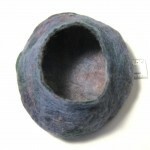 The opening is wide enough for easy access to the contents of the bowl.